Adrian Burrell was well within his rights to record the officer. On January 22, Adrian Burrell was at his home in Vallejo, California, when he saw his cousin outside with his hands in the air. The cousin, Michael Walton, was standing next to his motorcycle with his back to a police officer. "He can't hear you. He has his helmet on," Burrell told the officer, according to the account he later gave to KGO. At that point, he says, the cop told him to go back in his house. Instead, Burrell, who is a filmmaker, opted to record the incident. Even if he hadn't been standing on his own private property, this would be within his rights. In California, citizens can film on-duty police officers as long as they aren't interfering in their work. In this case, Burrell tells The San Francisco Chronicle, he was on his porchmore than 20 feet away from what was going on. "Get back," the officer tells Burrell. "No," he replies. (Burrell notes to the Chronicle that his back was already up against the side of his home.) The officer then walks toward Burrell, holstering his weapon as he does so. "You're interfering with me, my man?" he asks. "You're interfering, you're going to get one from the back of the car." It's hard to see what happens next, and the camera eventually goes dark. "He handcuffed me and threw me into this wall here," Burrell tells KGO. "Swung my body into that pole there, where I knocked my head. He took me to the car and detained me and told me I was going to jail." Burrell wrote on Facebook that he sufferred a concussion as a result of the officer's actions. But Burrell did not end up in jail. Burrell tells the Bay City News he asked the officer to cuff his hands in front of his body, rather behind, due to injuries sustained as a result of his time in the military. "Oh you're a vet? You sure weren't acting like one," Burrell recalls the officer saying, according to the Bay City News. But he did end up letting Burrell go. Walton, meanwhile, tells the Bay Area News Group that he was given a speeding ticket and also allowed to go on his way. According to a statement to media outlets from the Vallejo Police Department, Chief Andrew Bidou has "ordered an internal affairs investigation of the incident." In addition to Burrell's video, there is body camera footage of what happened, though it has not been released to the public. Police have not identified the officer involved, but his nameplate in the video reads "D. McLaughlin." The Chronicle reports that a David McLaughlin was hired by the police department in 2014. That same year, according to the Bay City News, McLaughlin was accused in a civil suit of searching a man's car without cause, then falsifying a police report when nothing illegal was found. The plaintiff eventually died, and the case was dismissed. Burrell, who is black, suspects his race was a factor in the incident. "I'm not a lawyer," tells the Bay Area News Group. "I'm not a detective. I'm just somebody who went with something and am trying to figure it out, and understand that historically these things happen to people who look like me and in communities like this." Being able to film police officers is an important part of keeping them accountable. Unfortunately, as Reason has documented on several different occasions, many cops don't feel the same way. At that point, he says, the cop told him to go back in his house. Instead, Burrell, who is a filmmaker, opted to record the incident. Opted? He opted? Doesn't sound like the cop was giving him an option. These stories always start this way, don't they? You read this and you know what's coming. He was on HIS OWN property while filming. Your disdain for the first amendment is troubling. The cop had no business assaulting the guy. I'm sure he's a good cop. Oh wait - his nameplate in the video reads "D. McLaughlin." The Chronicle reports that a David McLaughlin was hired by the police department in 2014. That same year, according to the Bay City News, McLaughlin was accused in a civil suit of searching a man's car without cause, then falsifying a police report when nothing illegal was found. 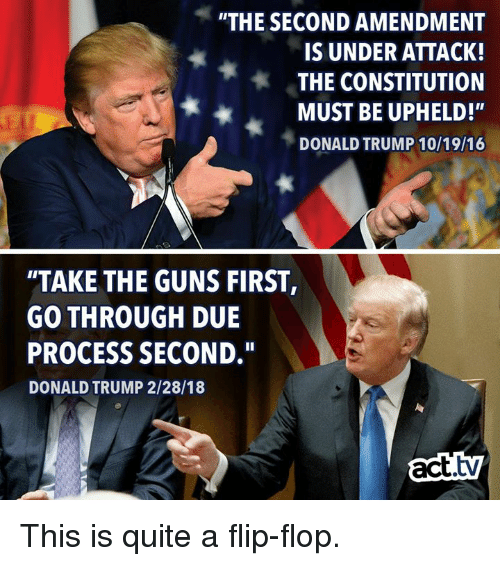 So - we have a known liar with a record of ignoring the constitution, and yet as usual you deify the prick - because he's a cop.
" Marine Vet Films Traffic Stop From His Porch; California Cop Gives Him a Concussion "
Sounds like a gross over reaction by the cop, and gross excessive use of force !! Hope the vet gets a big settlement in court !!! Id have conducted that V&T stop a little different. If I couldnt deal with the motorcycle driver without fear of being shot in the back by the homeowner, Id have cuffed the motorcycle driver and pat searched him (I have that right during a traffic stop because he is in CUSTODY DURING THE STOP), and Id have put him in the back of my patrol car UNTIL A BACK UP UNIT ARRIVED TO KEEP AN EYE ON THE HOMEOWNER. Then Id have issued every traffic ticket applicable to the motorcycle driver, while he sat in my backseat, and the homeowner could record all he likes. Your response would have been logical & appropriate, unlike your CA peer. If the vet gets a good lawyer, I suspect he will successfully sue that CA copy to oblivion, as he should. That cop can say BYE BYE to his savings, etc. Thats part of the problem. Its Kookifornia. Home of the fruits and nuts. Theyve even cornered the market on serial killers.
" Its Kookifornia. Home of the fruits and nuts. " Maybe God will do us a favor, trigger THE BIG ONE, and slide it into the Pacific. Yeah !! Hopefully, Nancy and the other commiecrats will be there when it hits !! !